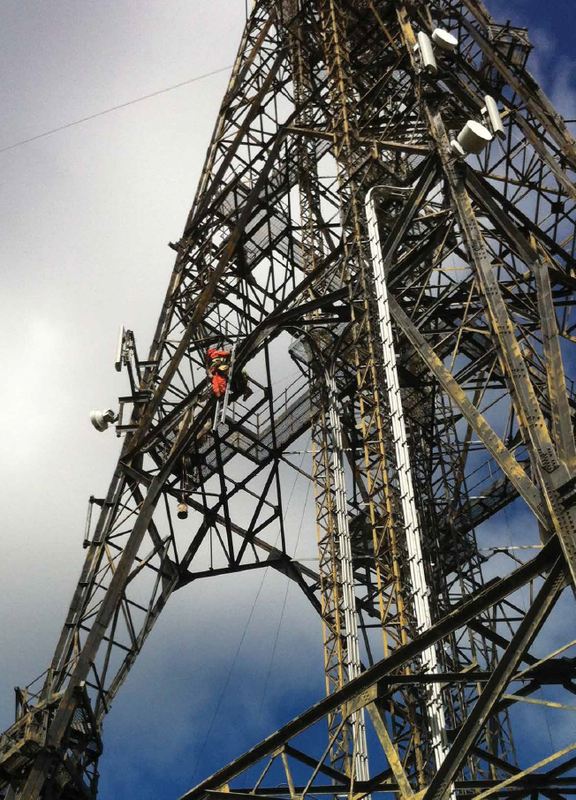 Lancashire based LARS Communications Limited, an industry leader in radio site build and antenna system installation, has been working with BT to help the telecoms giant reach new heights – quite literally! Over the course of the last few months LARS has been working with BT updating some of its existing towers. The Lancashire based company has completed the installation of strengthening steelwork on several BT towers to ensure that they have sufficient structural capacity and are fit for purpose. The towers are located across the UK and each one has thrown up its own unique challenges. At BT Copt Oak Radio Station in Leicestershire for example, LARS was limited to a very small window in which to complete the work. As well as being an operational site, the structure is also used as a radio rigging training tower by BT, so the work – including the replacement of the main diagonal members located between 44m and 70m – had to be completed when the tower was not being used for training purposes. Work at the aptly named Windy Hill Radio Station at Saddleworth in Greater Manchester proved very challenging. As well as the expected wind – particularly when you are working on a 90m structure – heavy snow didn’t make the job any easier. However, the three man installation team successfully completed the work required to ensure that the structure continues to be operational for BT. LARS has also undertaken the design, fabrication and installation of a 60m structure in Hampshire. The steel lattice tower was fabricated at the LARS production facility in Lancashire and was designed to carry numerous antennae and dishes, including those taken from the previous structure on the site. The tower includes an uncaged ladder with rest platforms at 10m intervals, as well as five working platforms at 4, 14, 24, 36 and 53 metres with full hand railing, open mesh flooring and trap doors. All steelwork complies with the current British Standards of grades S275 and S355. The total weight of the structure was approximately 32 tonnes and was manufactured according to ISO9001 quality standards with full compliance to current British, European and CE Marking standards. The tower was transported to the site in sections and was erected by an experienced LARS installation team using various plant equipment including 35, 55 and 100 tonne mobile cranes.